NOTE: This rock is completely DRY, not alive and can ship safely UPS Ground. This rock is sold PER PIECE and each piece is unique. The pedestal is glued at the factory with Marco cement to hold in place. 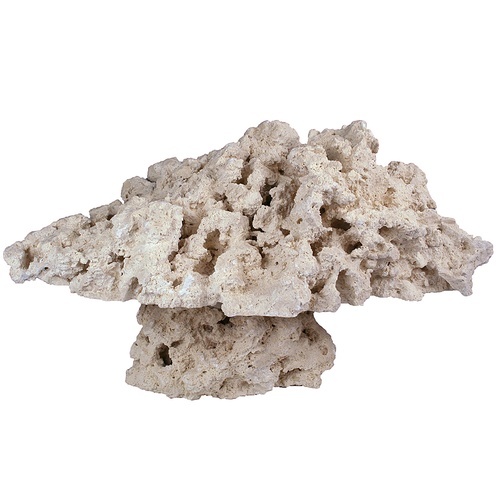 piece average size is 7x11" pedestal base is 3" overall height is ~5"
An exciting new rock from MarcoRocks puts a new meaning in "Reef Safe"
The best base rock you will find for your aquarium. Each box is hand packed by a reef tank enthusiast to ensure you will get what you need and want for your reef tank or salt water aquarium. 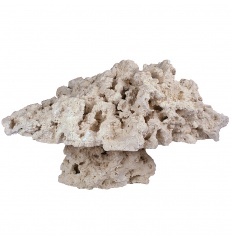 Marco Rock dry base rock is the most porous, lightweight and has the greatest surface area of any rock we have seen. Marco Rocks the finest dry rock makes the finest live rock available. Let us know specific sizes and our packers will try and accommodate as close as possible. Average rock size on Marco is usually around a medium sized rock. Average 25lb box for example would be around 5-7 rocks, but this can vary.